Hugh, if you know the purchase dates and reinvestment dates you can look up the valuations on Yahoo Finance. This will also show if there were any splits or reverse splits, which can really complicate cost basis calculations. You can download those prices into a spreadsheet and then figure out the cost basis. Remember that reinvested dividends also have cost basis! Good luck! BD - Hi. Since you have a pension, that puts a nice floor under you income-wise. As for your other investments there really are several different but entirely valid ways to think about that. Hire a fee-only planner who is familiar with the TSP investment options go over your individual comfort level with investment/inflation risks, assess how you are doing for retirement, and make some specific recommendations. Hugh- You can look up historical prices on many web sites for the initial and lump sum purchases that were not part of the DRIP. www.bigcharts.com is one or google finance. You can also find historical dividend information there although it may be time consuming looking up quarterly dividends since the 1990's but the custodian or transfer agent of the stock may also be able to provide you the dividend information. looking to dial down my current investments since I plan to retire in late 2017. That said, I feel i'm in good shape because I'll have 30 years in railroad retirement which allows me a full distribution and also have a pension that will cover my estimated monthly expenses of around 7.5-8k a month. I have a 401k that is 50/50 in Dodge and cox and vanguard 500. Although they have both had a good year, I was going to transfer it all in a vanguard 2015/2020 target fund. Thoughts? Hugh - Request complete transaction histories where the stock was registered or held. Look up the historical values on any number of financial sites (Yahoo Finance for example), start doing the math for what each transaction cost, and add it all up. Don- I would not recommend transferring it all to one fund. I would instead recommend a more diversified portfolio of stocks, bonds, and alternatives based on your anticipated future withdrawals and risk tolerance. The Vanguard 2015/2020 fund is going to be primarily bonds and you could be taking on more risk than you think by investing that much in fixed income when interest rates are so low and the vast majority anticipate rates increasing throughout 2017 and 2018. This will cause negative returns for most bond funds. You need to understand the amount of bonds in the fund and the average duration to evaluate the potential downside risk. I recommend contacting a NAPFA fee only advisor to evaluate your sources of retirement income and assets and spending to help you determine the best asset allocation. Retirement is a big life changing event and one that you may want to seek out some personalized one on one advice. My husband and I have IRA'a in addition to 401 plan. They are in fidelity mutual funds. We plan to retire soon, and although we have not contributed to them in a number of years, we should probably give them some attention now. about 130k is in their balanced fund, about 25k each in select bio and their millennium fund (kip 25 fund) and 15 k in select technology fund. We'll have a pension, and have 60k in cash as a rainy day fund. Should I narrow down the number of funds given retirement, and what fidelity fund/ or mix of their funds would be suggested? Thanks for providing this service today. Don, your RRP and pension certainly give you an excellent starting point for your retirement. I can understand that you are not comfortable with your all-stock 401k. Dialing down may feel good, but don't take it to an extreme as your 401k assets will provide you with flexibility for future spending and you'll want those assets to continue with growth to cover future inflation. The Vanguard Target 2020 fund certainly holds to a middle level of risk - I can't make specific recommendations of course but that would certainly be a respectable fund that would balance risk and return. Just remember that this will not be a static allocation - it adjusts downwards over time to gradually lower from 60% stocks to 30% stocks. That may or may not be enough allocated to equities to protect you from inflation. And bonds, in this low rate situation, have their own set of risks. So proceed with caution! Don - Using a target date fund would be easy but you will want to keep an eye on it over time. Often it may be invested more conservatively or more aggressively than you personally want somewhere along its asset allocation glide path. Linda - Yes, it would be a good time to reassess how all of your investments including IRAs and 401(k)s are allocated. Any specific answers would rely on knowing your attitudes about investment/inflation risks, your other investment holdings, and an idea of how you are doing as far as being on or off track to retire the way you want to. 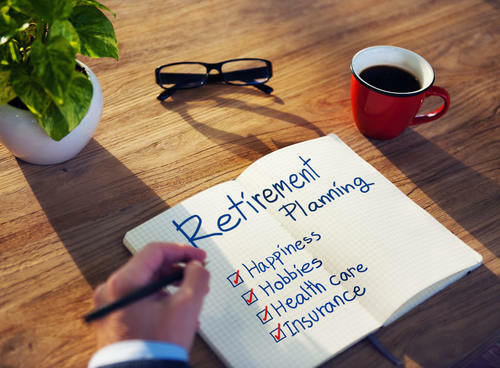 Consider hiring a fee-only planner to do some retirement calculations (to make sure you are on track) and they can point you in a good direction for how to invest the IRA accounts. Can I sell the DRIP stocks without a cost basis and pay at the market price? Or transfer the DRIPS to a relative who would start their cost basis at the time of the transfer date? Hugh a lifetime gift (i.e. a gift before your death) of appreciated assets means that the recipient gets YOUR cost basis, so that won't solve the problem. The only time there is a step up in value is at your death. 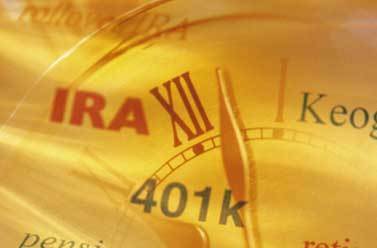 When doing a rollover from an IRA to a Roth IRA, should I open a new Roth IRA account? If so, why? Hugh, an additional thought. If you don't state a cost basis the IRS will consider the shares to have zero cost basis and will treat the gain as a short term gain (taxable at ordinary income rates, not the capital gain rate). So it might be worth the trouble to get the cost basis, even if it's an estimate. Hugh - Not knowing the cost basis doesn't interfere with your ability to sell the holding. It's really only a tax return problem. If you pass away and someone else inherits the stock the cost basis generally resets. Or if you give the stock (without selling it) to a charity the cost basis won't matter since the charity won't be required to pay taxes when they sell it. I go with what Timothy suggested. 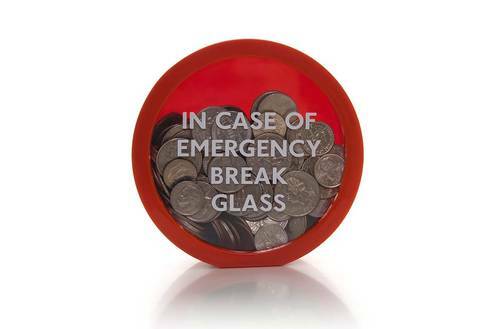 www.kiplinger.comBuilding an emergency fund your most important financial goal. Understand why you need it, how much you should save and where to invest the savings. Something to think about when doing IRA rollovers..
www.kiplinger.comTake these four steps to ensure an IRA rollover is the right move for you. Rich - Roth conversions have a separate five-year window to meet the tax-free rules. If the conversion amount is not too small, I'd recommend creating a new Roth IRA for your conversions. SF -- you'd need to establish a brokerage account where they could sell you those individual bonds. But isn't the savings account supposed to be low-risk? What kind of Roth IRA choices are there that are higher return but still low risk. SF, that is the age old question and (wink, wink) there is no good answer. In our current investment environment, we no longer have FDIC insured savings accounts that pay 4% interest. There are no low risk higher return investments. The current low interest rate environment is acting to force investors to take risk (even if they are uncomfortable) in order to generate a return that will provide growth and inflation protection. On June 27, 2016 I met with a Social Security representative and completed an application for SS benefits based upon my ex-wife's earnings. Later I received a Notice of Award stating that I was entitled to monthly to husband's benefits from SS beginning November 2015. This notice also stated that after deducting my Medicare premium, I would be sent a first payment of $4,500.00, and then I would be receiving monthly payments of $437.00. These amounts are as I expected, approximately 1/2 of my ex's full entitlement less her Medicare deduction. During my meeting with the SS rep, was told that at age 70 I could refile and step up my entitlement to the amount I am eligible for at age 70. Since then I have received some advice to the contrary. The financial planner who gave me this contrary advice suggested I speak to someone at Social Security. When I did this I was referred to SSA a publication that did not make any sense to me. It didn't even seem to cover the same subject. SF - I disagree with Ms. Orman's advice here. Vanguard and Fidelity offer solid, low-cost bond funds that are a great way to cover the bond portion of an investment portfolio. Individual bonds are more of a hassle for small investors than the "hold until maturity option" advantage Orman often mentions. Michael - Lots going on here. It seems like you are taking advantage of Social Security's "restricted application" strategy. These rules have been recently changed and we do not have access to your birthdate and other pertinent information. I expect the original plan (get spousal benefits now, refile at 70) works for you, but I think another visit to your local Social Security office makes sense. Michael B, in order for this to work properly, you must have been born prior to January 1, 1954 and your former spouse should be older than 62. Michael, if you were born prior to 1-1-1954, which it sounds as if you were, you have the right to the restricted filing on your former spouse's benefits. My sweetie and I are 59 and 61 -approaching Social Security minimum retirement age. We are both divorced. Where can we obtain excellent advice about possible Social Security scenarios ( including marriage)? Louise - If you and your sweetie continue to work, drawing Social Security before full retirement age will not make sense. 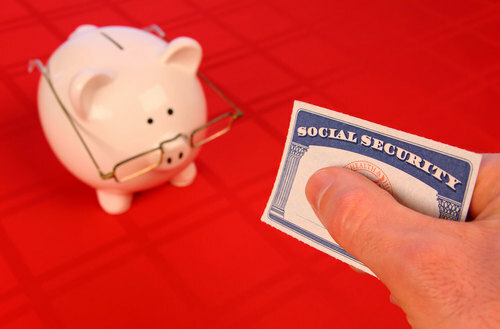 Some financial advisors provide excellent advice on Social Security drawing strategies. If you prefer to do it yourself, the website maximizemysocialsecurity.com has an excellent tool to run your own numbers. www.kiplinger.comMost people don\'t know even the basic rules of Social Security. That can lead to filer\'s remorseâand thousands of forgone dollars. www.kiplinger.comMeet certain criteria and you may qualify to claim a benefit off an ex-spouse\'s earnings record. Louise, don't try to figure this out on your own. Even with more restricted rules, there are literally hundreds of ways you can work out distribution strategies. Interesting on the variety of answers about the Treasury bonds! I do have a bond fund in Fidelity, but reading The Money Class (again) and so doubted myself. Thanks! Tom, I wouldn't say that equities automatically should go into pretax accounts. There are some real tax advantages (right now) in having certain equities in taxable accounts, given the ability to offset taxable gains with losses and the lower dividend tax rate for many filers. Of course, you have to be careful not to put mutual funds that throw off a lot of capital gains into taxable accounts; those should go into tax-deferred accounts. Tom, the other issue you have to consider when retiring early is where the money to live on is coming from, and the tax implications of those decisions. That's where good tax planning comes in, and that can certainly depend on your income needs and what state you live in (e.g., some states have no state income tax, others have high income taxes). You have paid tax on your stock options exercise, so that's a done deal. However, as you invest these assets and they grow, you will have tax liability when the holdings are sold, but generally at capital gains tax rates if you hold the assets long enough. 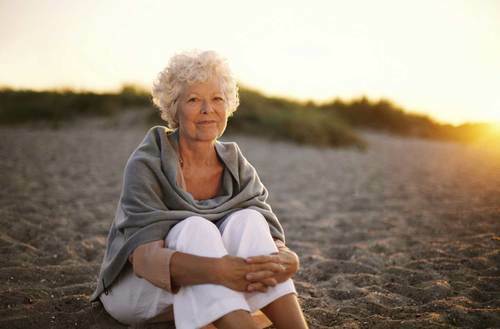 Since you wish to retire early, it's important to be able to preserve your tax deferred (401k) funds as long as possible, until required minimum distribution age. I also agree with Delia's answer. For example, since you won't draw from your 401k for a while it should have some growth assets to try to maximize its value in future years. And you need lower risk (and even some cash) holdings in assets that you are going to use in the next five years or so. Jim, there are a number of things you could do. (1) stop reinvesting dividends, interest and capital gains, so you stop buying more of the same funds, (2) you could gift shares to charity instead of writing a check (or gift them to a Donor Advised Fund, which allows you to take a tax deduction now and use the proceeds over time), (3) you could gift them to your kids, (4) you could carefully sell just enough every year to keep you in the same tax bracket but to help you reduce your holdings. Jim - I'd calculate the taxable gain for each of the three funds. Remember: most mutual funds kick out taxable income each year, so your unrealized gain might be quite a bit lower than you think. If the gain is low, move on. If the gain is significant, you might consider (say) selling one fund a year and reinvest the proceeds in something you like better. Hi, I asked this before, but it may have gotten lost. If a 529 plan is created and my son or daughter decides not to go to college, what, if anything, can the money be used for from the plan?